A directly authorised firm - IAM Financial Services Ltd.
IAM Financial uses the professional support services of Simplybiz, an organisation providing both technical and compliant backup to further enhance the quality of our advice. We believe this enables us to remain proactive, while maintaining a competitive edge and greater independence. The ultimate client outcome. Website © 2019 IAM Financial. All rights reserved. 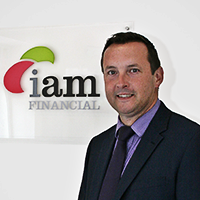 IAM FInancial is a trading style of IAM FInancial Services Ltd, 2 Union Road East, Abergavenny, NP7 5UW. Registered in England & Wales no. 07427216. Offices in Abergavenny and Singleton Court Business Park, Wonastow Road, Monmouth, NP25 5JA.